"How My Therapist Destroyed My Marriage"- Has this happened to you? "How My Therapist Destroyed My Marriage"- Has this happened to you? “How My Therapist Destroyed My Marriage”- Has this happened to you? How my therapist destroyed my marriage is the story of too many people. Have you ever wondered what prompts couples to give up on their marriage? While there are certain events that can push a marriage over the edge, many couples are successfully able to weather a lousy marriage for a long time. Other than infidelity, I have observed that therapy is often the cause for one spouse to throw in the towel and give up. No, I am not referring to bad marriage therapy that often sounds like a screaming match behind closed doors, though that also does its share of damage. I am talking about the effect individual therapy can have on a marriage that is in crisis. Marriage counseling or individual counseling for an unhappy marriage? Going to an individual therapist to for marriage crisis advice is more harmful than helpful. “We’ve been married twenty years and it has been pretty bad, but now I have no desire to work on the relationship and I am ready for divorce.” They went together for years of bad marriage counseling that didn’t help, yet they still stayed together. What changed now? 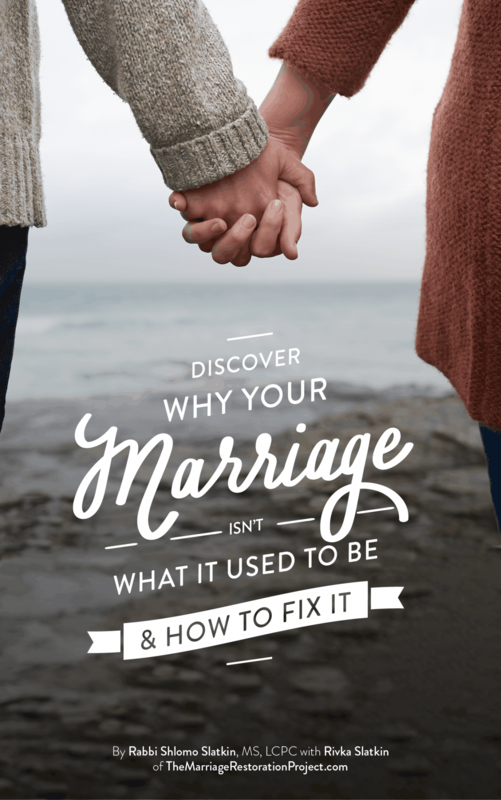 “A few years ago I started seeing an individual therapist …..” The wife was told by her therapist that it would be better to work with her privately and “fix” her own personal problems than it would be to work together on her marriage with the husband. The therapist even asked the husband what he would like his wife to work on. Let’s just say that this method was a disaster. She became so attached to the therapist that had encouraged her to “work on herself,” and concluded that it was her husband that was the problem. She was done with her marriage and there was no possible way I could even invite her to do couples work with her husband. While individual therapy is helpful for individuals, it is often counterproductive for couples in crisis going through marital problems. 1) Is your individual therapist advising you about your spouse? I am amazed at how therapists can draw conclusions about the other spouse without ever meeting him or her. I am always shocked to hear that a therapist will support their client’s decision to divorce their spouse without first advising the couple to work together on resolving their conflict. I have heard about therapists who have convinced one spouse to leave the other without even meeting him/her or inviting him/her to join a therapy session! Although therapists are supposed to be neutral and should take their ego and/or personal agendas out of the session, there are male therapists who have an axe to grind with verbally abusive women and there are female therapists who have a dislike for “controlling” men. Even if a therapist does not have an agenda, there often seems to be a complete disregard for the big picture: that when you break up a marriage you are often breaking up a family. My heart is broken when I hear about young couples with little kids getting divorced. Such decisions have devastating effects on future generations. As I hear of families breaking apart, I am working with children of divorce who are trying to salvage their own marriages. They did not grow up witnessing a healthy relationship. Even if they were fortunate to not become addicts or to end up in abusive relationships themselves, they are suffering from their parents’ inability to repair their own marriage. Knowing about this phenomenon and the choice that you have for going to marriage counseling vs individual counseling specifically for a marriage that is in crisis, can save your marriage. I feel so strongly about this because I have heard many stories of marriages that could have been saved had one spouse not been poisoned by his/her therapist about the other. We are not talking about cases of physical abuse or of potential threat to one’s life. We are talking about “normal” things that most couples deal with such as yelling, criticizing, blaming, shaming, etc.. While these may all be forms of verbal abuse, they can often be dealt with and couples behavior can change. When both spouses are not present, you can end up like the husband whose individual therapist convinced him that his wife was abusive and that she had a personality disorder. Whether or not it was true, those words had a profound effect on the husband and it forever tarnished the way he viewed his wife. While before he had hope that the relationship could improve, he was now convinced she had a “disorder” and there was no point in trying anymore as she was the one with the problem, not him. A marriage requires two people, and in order to save it the dynamic has to change. It is rarely only one person’s fault. We can trigger some ugly behavior in our spouse but that does not mean that our marriage needs to be trashed. With the right perspective, the desire, and the proper tools it is very possible to save even the worst marriages. The best way to save your marriage is for both spouses to work on their marriage together. This involves more than solving issues or changing behavior. 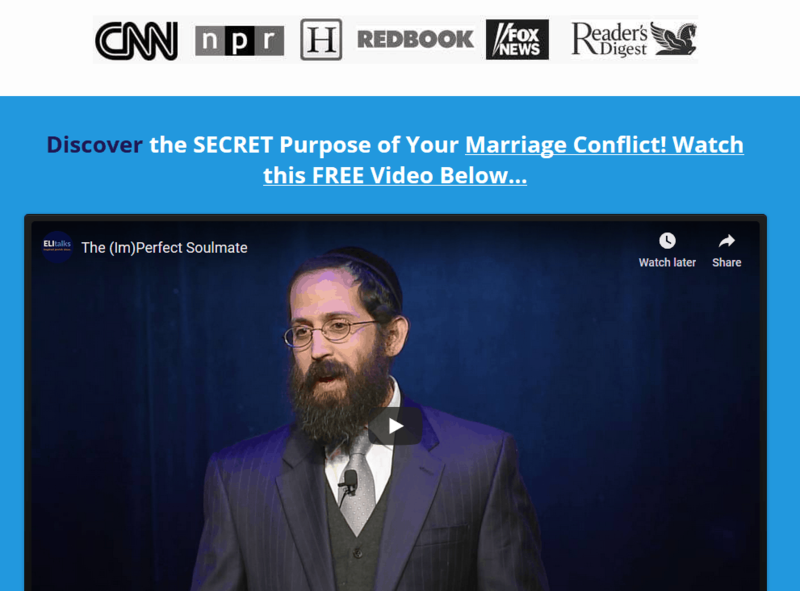 Couples repair their marriage by learning how to relate to each other in healthier ways. Once that occurs, the problems that arise can be dealt with effectively. That is why it is essential for couples to learn the skills necessary to relate to each other. In most marriages, both partners contribute to the conflict they are experiencing. By not dealing with each other directly, rather seeking individual help, couples shift the focus from where it needs to be. It is common for one spouse to feel that their therapist is able to provide them the warm, understanding, and available presence they are looking for in their marriage. The goal of good couples work is that the spouse can become that presence that the other is looking for, not the therapist. Am I advising you to to fire your individual therapist? No, but I am advising you to be aware of the issues that may occur if you are seeing one. Even the most well-intentioned individual therapists can be harmful if they are advising you about your spouse when he/she isn’t there. If you are seeing an individual therapist for your marriage, the best thing you can do is focus on your personal issues. Ask them not to make any suggestions about your spouse. Unless there is physical abuse or potential threat to one’s life, it is irresponsible for a therapist to encourage divorce without hearing both sides of the story. Even if divorce is not encouraged, it is not helpful when a therapist speaks poorly about your spouse or gives you advice. It leads to insecurity and second-guessing. If you come home disagreeing with your spouse saying, “Well, my therapist said…,” then you need to become a little more aware of the influence your individual therapy is having on your marriage. Ultimately, you and your spouse need to discuss and decide together what is best for your relationship, as you will be the ones to live with whatever decision you make. Although your therapist may be well-meaning, a therapist is a human being and does not always have all the answers, especially if they have only heard half of the story. Trust in the potential that your relationship has to heal, and focus your energy on your marriage. Whatever you do, don’t let your therapist destroy your marriage and better yet, don’t seek out marriage crisis advice from an individual therapist. Go to good marriage counseling together. So many marriages can be saved if the awareness of dangers of third party involvement is made clear. Save your marriage. 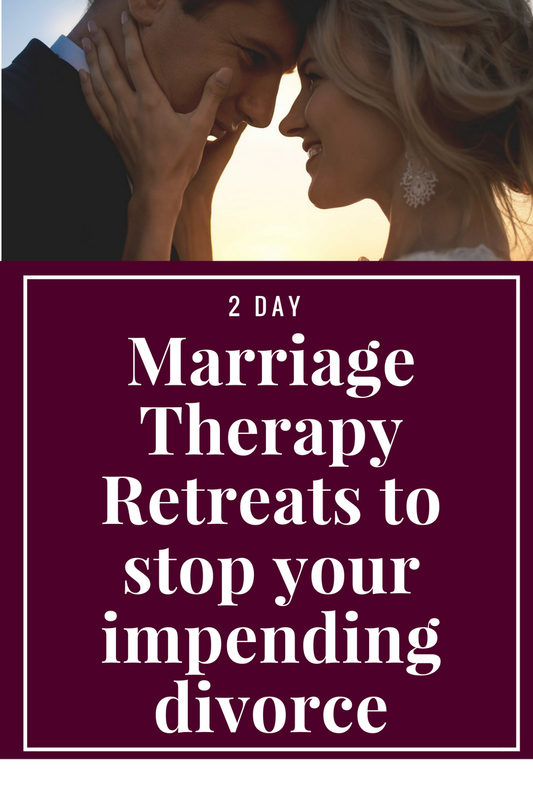 Talk with us about how to prevent a therapist from destroying your marriage and better yet, come work with us in our 2 Day Marriage Restoration Retreat so that you can fix your relationship problems without going through months and months of counseling that may not work or worse yet, make things a lot worse.